To protect life and property through the provision of a professionally trained, specialist rescue service for marine and land search incidents. 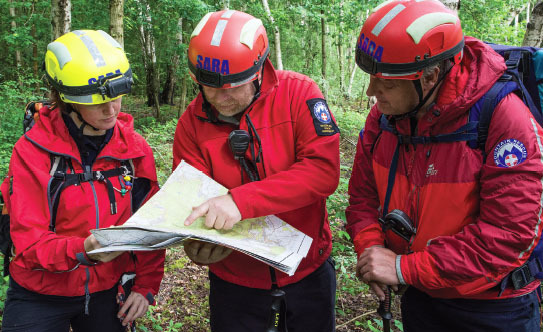 SARA Land Search Teams are often deployed on search and rescue operations, usually to search for missing persons. Our Land Teams also have the capabilities to perform rope rescues and often train on the cliffs at Symonds Yat and in the Lower Wye Valley. 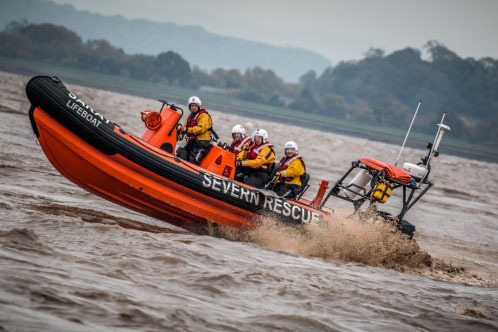 Our inshore lifeboats are tasked by the UK Coastguard to incidents in and around the Severn Estuary including the tidal lengths of the rivers Wye and Usk. We also operate inland rescue boats and provide inland water rescue, usually supporting the police and other agencies. Advanced medical treatment built on first aid administering medical gases, drugs and moving casualties with spinal injuries for example.